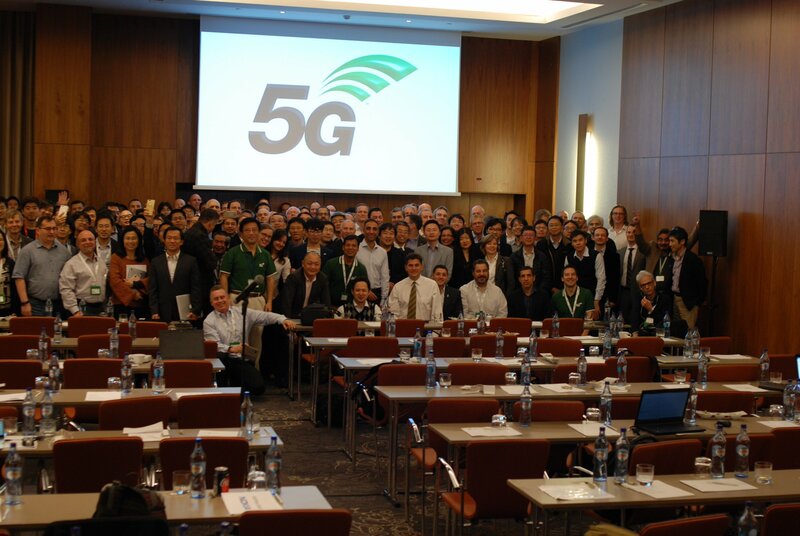 Late last night in Lisbon – Portugal, during the 3GPP’s quarterly plenary meeting, we saw the announcement of the completion of Release 15 NSA 5G NR specification. The 5G NR (New Radio) standard is defined through collaboration of the world’s telecommunication companies within the 3GPP initiative. 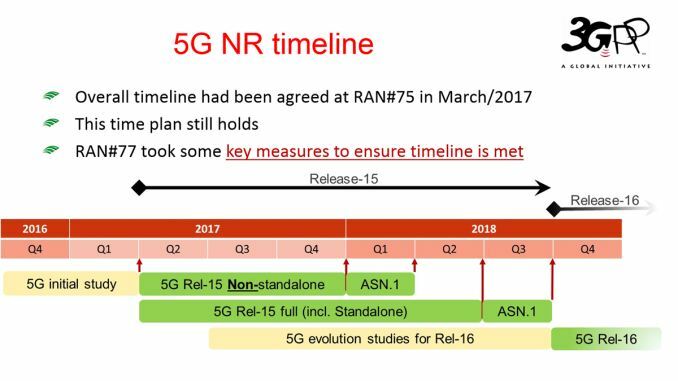 Earlier this year the industry agreed to a plan to accelerate up the 5G standardisation schedule and it was agreed to split up the specification of Release 15 (i.e. 5G) into two phases, Release 15 NSA (Non-standalone) as a priority and Release 15 Full (with standalone) at a later date in 2018. Today’s announcement completes the first phase and arguably the most important phase for equipment designers and manufacturers. The non-standalone mode revolves around enabling the enhanced Mobile BroadBand (eMBB) use-case and anchors the connection in LTE while 5G NR carriers are used to increase data rates and take advantage of the reduced latency. This mode will be a cornerstone of 5G in the early years of adoption as mobile carriers introduce network compatibility. The freezing of the specification gives the industry green light to fully accelerate design and implementation of equipment adhering to the standard to reach the goal of commercialising first products in the 2019 time-frame. The full Release 15 specification to be completed around the June 2018 time-frame will enable standalone 5G NR with user and control plane using the 5G next-generation core network (5G NGC). The NSA and SA releases share the same physical layers specifications and thus we expect NSA hardware equipment to be forward compatible with the SA standard once it’s been finalized next year. The announcement also came with significant news for Sprint in the US: The 3GPP have included the 2.5GHz spectrum band into the 5G NR NSA specification, which positions the now SoftBank-owned US carrier at the forefront in terms of sub-6GHz 5G spectrum. The carrier promises 5G deployment in 2019. And what do you think will reduce the cost of data plans? (a) Bitching on the internet forever? (b) Improved technology that allows for better use of limited spectral resources? if 5G has some problem, it is its very short range, so you need a lot of radio stations. So it is very good in dense populated areas, where you can easily build many masts and you need bigger capacity. In rural areas, the 4G will be the main system along the old 3G.